The internet is now more easily accessible than ever before which means that many of your potential customers will now start to search for your start-up or small business online, before buying in to your product or service. This will be the case regardless of whether a prospective customer is looking for a hotel room for the night, a restaurant reservation or a high-street store for some retail therapy. With this in mind, you need to ensure that your small business is as eye-catching and attractive to your target audience as possible online— not to mention being visible via various methods. A great place to start is by getting your company noticed on two of the most widely used map providers around; Apple Maps and Google Maps. Use your Apple ID to sign into the Apple Maps Connect portal — don’t worry, you can sign up for a free ID straight away if you don’t have one already. Once into the portal, click ‘add place’. Next, click on the button ‘add new place’. Fill out all of the details of your business and complete the process. Your business will now be visible on Apple Maps. Click on the button ‘Start Now’. Fill out all of the details of your business and then click ‘continue’. Check and verify the information you’ve inputted, only clicking ‘continue’ when you’re happy with the details recorded. Wait for a verification code to be sent by Google — this will be sent by post. After verification has been established, complete your profile. Your business will now be visible both on Google Maps and in search results. What makes Apple Maps and Google Maps unique from one another? 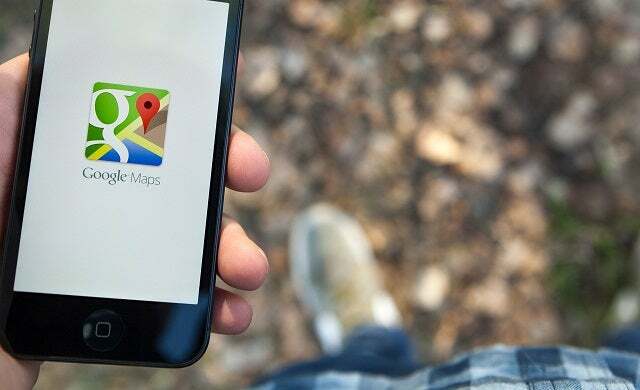 Apple Maps and Google Maps are both easy-to-use navigation tools so it’s important that your small business is recognised effectively on both programmes. However, each service comes with a set of exclusive features. There’s handy 3D mapping and Fly Over elements that allow Apple Maps to stand out, for instance, though Google Maps does benefit from having its detailed Street View setting. For users, there will also be unique information available to users depending on which programme they open. Access to up-to-the-minute details about public transport is available on Google Maps, for example, while Apple Maps taps into TripAdvisor to source its UK reviews. These tips were provided by catering supplies specialist Nisbets.